HTH Worldwide is a recognized leader in designing global insurance products that help travelers and expatriates gain access to quality healthcare and emergency services around the globe. HTH maintains unsurpassed resources designed to promote personal safety by giving members access to vitally important news, health and safety analysis and medical translation tools. The company also employs over 130 Regional Physician Advisors around the world to serve members' local needs and keep HTH informed of healthcare standards and practices worldwide. The Global HealthGuard plan is underwritten by HM Life Insurance Company, of Pittsburgh, PA or HM Life Insurance Company of New York, NY. Both companies are rated A- (Excellent) by A.M. Best. The Global HealthGuard plan offers a high level of coverage and services for your expatriate employees. The benefits are comprehensive and can be designed with a wide range of deductible options. Members can use their coverage anywhere in the world and in the U.S.
Benefits are just half the story. HTH Worldwide has created a number of unique services to ensure members have access to quality care worldwide. Members can access quality healthcare providers, and health and safety reports for hundreds of destinations around the world. This information is easily accessible via the web, PDA or mobile phone. HTH Worldwide provides support and tools to ensure your expatriate employees have a successful and healthy assignment. Global Benefits can create an appropriate solution to meet your organization's expatriate benefit needs. Our ability to work directly with HTH’s Global HealthGuard group gives us the ability to design benefit plans that meet our clients' needs. 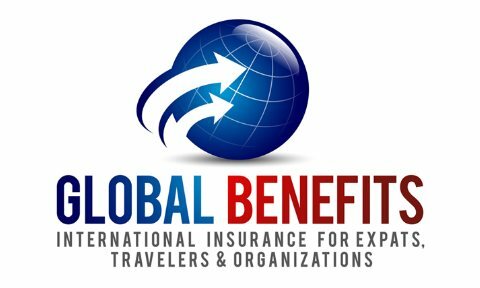 If your organization has expatriate employees and requires unique international benefit solutions, please Contact Global Benefits. The Global HealthGuard plan meets these two important Federal laws concerning continuing coverage, post-employment coverage and healthcare portability. While the Global Health Advantage plan is COBRA compliant, CIGNA Int’l does not provide COBRA administration. Consistent with HIPAA guidelines, CIGNA International will recognize Certificates of Credible coverage for employees joining the plan. Global HealthGuard offers expatriates one of the highest benefits levels available for a COBRA / HIPAA compliant plan - $5,000,000 lifetime benefits. HTH can allow up to ten percent of the international employee population to include local nationals. This feature is especially helpful for organizations with either a small number of locals or that have local nationals that travel internationally. Note that in some countries and in certain situations, it is not possible to add local nationals to Global HealthGuard. Global Benefits can refer your organization to a specialist that handles Local National Benefits. HTH Worldwide offers the flexibility to meet your organization's benefits and budgetary goals. Employers may want expatriate benefits to match U.S. benefits for parity and contractual reasons. Self-insured groups can reduce premiums by 30% or more by utilizing Global HealthGuard outside the U.S. and use their own plan when employees are in the U.S. The Global HealthGuard offers a complete level of international medical benefits including 5 standard plan designs and include coverage for office visits, physical examinations, prescription drugs, maternity, surgery, emergency care and hospitalization. HTH makes it simple to access high quality care around the world for a low $10 co-pay (waived if using the Elite Provider Community). Benefits are not restricted by pre-certification requirements (except for transplants), acts of terrorism or a waiting period (subject to HIPAA). The standard plan design options for Global HealthGuard include 5 different deductible options. Benefits are standard for all deductible options. Groups that currently have specific deductible, co-pay and benefit requirements can request a customized plan. For a complete list of benefits, please open the PDF listed below. HTH recognizes that having quality health insurance is just half the solution for expatriate employees' global healthcare needs. That’s why HTH maintains a multilingual assistance center, which is open 24/7 to assist members. HTH’s staff have years of experience and have access to resources unavailable to other insurance companies. HTH also employs physicians to help with assistance center staff with such critical issues as medical evacuations and advising clients. HTH’s Assistance Center coordinates medical evacuations with a global network of Regional Physician Advisors employed by HTH. Air ambulance providers are contracted with HTH based on their safety and capability records. Medically evacuated members can be transferred to high quality care and centers of excellence worldwide. Global HealthGuard members can schedule appointments with doctors or hospitals nearly anywhere in the world via HTH’s Assistance Center or online. By using HTH’s Elite Provider Community, members do not need to file claim forms and wait for reimbursement. Elite Providers bill HTH directly for their services. HTH members have the unique ability to access over 850 leading international medical facilities worldwide. These HTH Partner Facilities have agreed to bill HTH directly for pre-authorized inpatient services. These facilities can be found online at City Health Profiles and are noted with an HTH logo. Please note that direct billing may not be available in all situations. Global Citizen provides the security of a high quality health plan with unique online tools. These tools allow members to research nearly 600 destinations in more than 150 countries for health and safety information and look up carefully selected English speaking doctors in a wide range of specialties. For a demonstration of these tools, please see the links below. HTH has developed a proprietary network of providers around the world. While it is a no cost option to use the Elite Provider Community, it is highly recommended. These physicians share three common characteristics. All speak fluent English, are up to U.S. or British medical standards and they will bill HTH directly for claims. HTH’s CityHealth Profiles are excellent snapshots of important information about healthcare services in over 600 cities worldwide. Access to crucial information such as emergency phone numbers, locations of high quality hospitals, vaccination requirements and pharmacy locations. With mPassport, all of HTH’s excellent online tools are available through a member's PDA or internet ready mobile phone. Users have access to hospitals and clinics in over 1,150 destinations around the world. mPassport helps in communication by the translating of brand name drugs and key medical terms. Members can also receive personalized health and safety alerts via text message or email. Informed Choice is a unique healthcare recommendation program. It differs from second opinion programs in two key areas – local healthcare knowledge and assistance with locating appropriate care anywhere in the world. HTH utilizes over 130 local Regional Physician Advisors (RPA) who are expert physicians familiar with local treatment options. The RPA will review the member’s case, consult with the attending physician and make appropriate treatment recommendations. For example, the RPA may advise the expatriate patient that higher quality care can be found elsewhere within the region. By utilizing the Elite Provider Network of physicians and hospitals, HTH can quickly refer the member to high quality doctors anywhere in the world. HTH can provide detailed information about healthcare facilities around the world. HTH assists with appointment scheduling and payment of claims. The assistance company will coordinate travel arrangements and accommodations. There is an additional cost to use the Informed Choice program. The Informed Choice program is about having information and guidance in making important and complex medical decisions. It is also about giving the client the freedom to seek healthcare anywhere in the world. HTH has developed several tools to simplify the claims process. By following these procedures and utilizing the Provider Networks, your claims will be expedited. Many of these tools are web based though a special member website. We highly recommend that you set up your HTH Member Profile so you can access these tools and services. HTH’s goal is to process claim forms within 30 days of receipt. Incomplete claim forms may result in delay of payment. You may fax or mail your claim. Contact information is provided below. You may also choose to have your reimbursement wired to your bank free of charge excluding any inbound fees your bank may charge. For more detailed information, please refer to the instruction and claims form links. Utilizing doctors and hospitals that bill HTH Worldwide directly can save you time and energy. These providers have contractually agreed to accept HTH's reimbursement schedule so you do not have to worry about being excessively billed. HTH Worldwide utilizes the Aetna Open Choice PPO network in the United States. The Aetna PPO Network has over 700,000 preferred providers including more than 4,000 hospitals. You may access the list of doctors by following the link below and selecting the Standard Aetna Open Choice PPO option. Global HealthGuard members have the freedom to seek care worldwide. By using HTH’s established provider network, members can reduce issues with reimbursement of claims. Requesting an appointment with an Elite Provider can be done online though the Appointment Scheduling tool, by contacting HTH at +1 610 254 8772 or emailing globalhealth@hthworldwide.com. HTH members have the unique ability to access over 850 leading international medical facilities worldwide. These HTH Partner Facilities have agreed to bill HTH directly for pre-authorized inpatient services. These facilities can be found online at City Health Profiles and are noted with an HTH logo. Please note direct billing may not be available in all situations. To arrange a letter of guarantee payment to the HTH Partner Facility the member must contact HTH by emailing globalhealth@hthworldwide.com or calling +1 610 254 8772. The request should be made at least 2 business days prior to the scheduled treatment. If an HTH member seeks treatment at an HTH Partner Facility without notifying HTH in advance, the Facility may expect payment in full at the time of service. The Global HealthGuard plan was designed for groups of 2 or more expatriate employees. If your organization has only one expatriate employee, please visit our Individual section or Contact Us. Employers in certain U.S. states are required to have fifty or more employees. However, there are a number of states where this requirement is waived. Please contact us for current requirements in your state. Only two expatriate employees are required for the plan. The policy must be delivered to a U.S. address. The benefits must be the same for all expatriate employees. Coverage can be terminated by HTH Worldwide if there are less than two employees on the plan. Other factors such as nature of work preformed, local insurance laws and location of employees may influence whether coverage is issued or rescinded. Full-time employees must be expatriates residing outside their country of citizenship. Residency is general determined as physically spending more than six months a year abroad. The plan can accept local nationals outside the U.S. on a case by case basis. Generally, HTH will not allow more than 10% of a group to be comprised of local nationals. Currently there is basic medical underwriting for groups of 2 to 10. A simple one page medical form must be completed by each eligible employee and submitted for review. There is no medical underwriting for groups of eleven or more. Coverage may not be issued for such factors as age, nature of work preformed, local insurance laws or location of expatriate employee. Eligible dependents include the employee’s lawful spouse and unmarried children under age 19, and unmarried children ages 19 though 25 years if they are full-time students. Dependents who reside in the U.S. are eligible provided the expatriate employee resides outside the U.S. Please click on the Quote tab to download a Request for Quote form or Contact Us directly. We can help you start the evaluation process and make sure your international employees are properly covered.